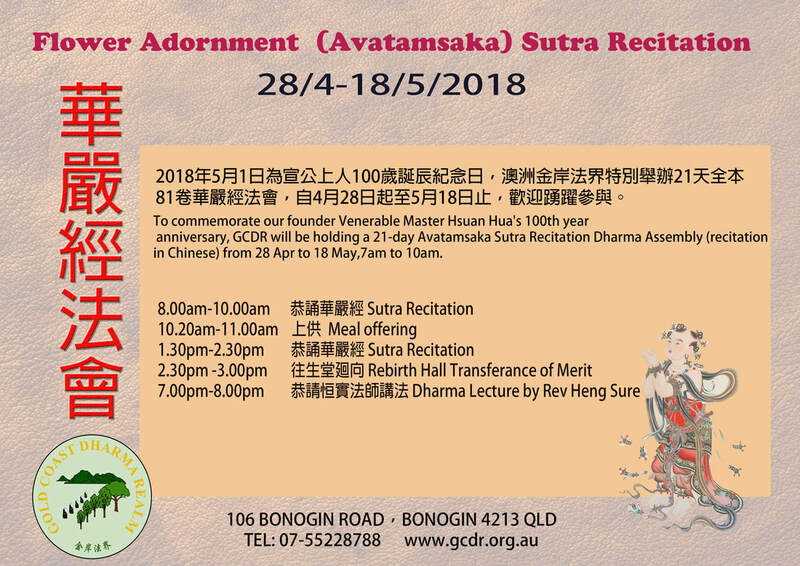 To commemorate the founder of the Dharma Realm Buddhist Association, Venerable Master Hsuan Hua's centennial year, Gold Coast Dharma Realm of Australia will be holding a 21-day Avatamsaka Sutra Recitation Dharma Assembly from April 28 to May 18, 2018. 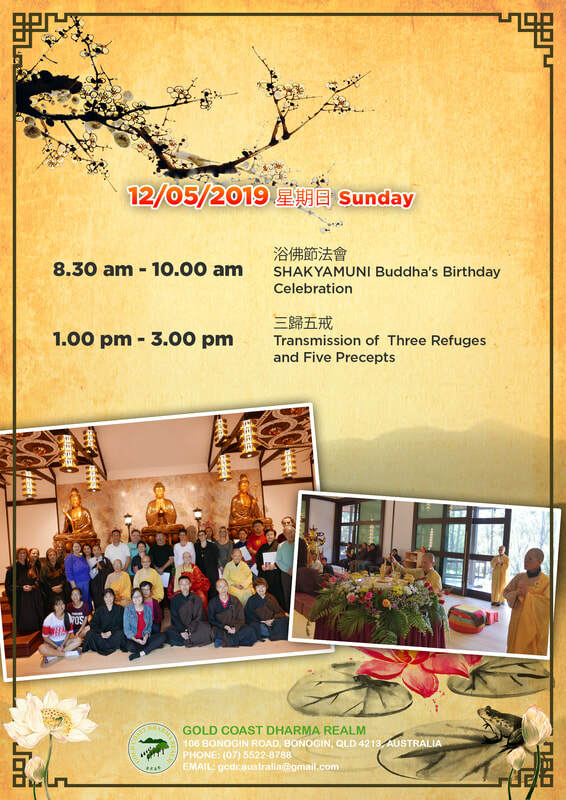 The Avatamsaka Sutra recitation session is from 8 am to 10 am and 130pm-3pm every day. 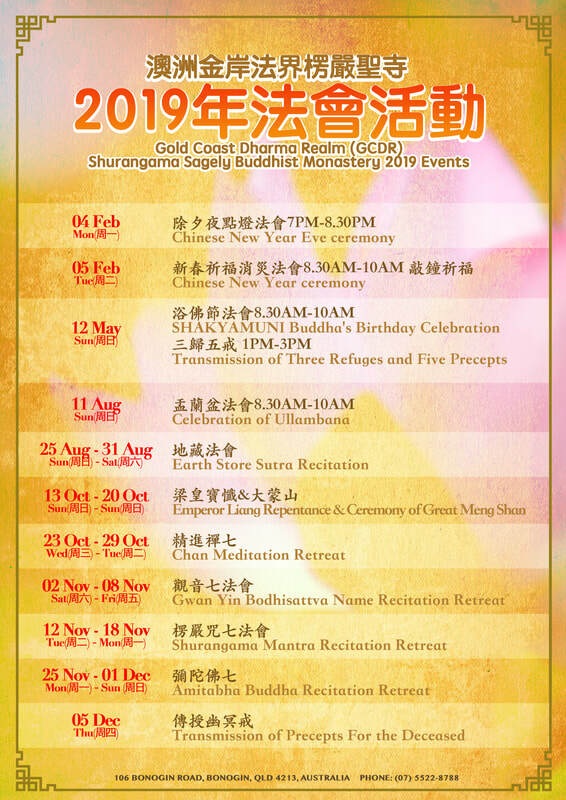 A daily lecture explaining the Second Ground of the Ten Grounds of the Avatamsaka Sutra will be given by Rev. Heng Sure from 7 pm to 8 pm. 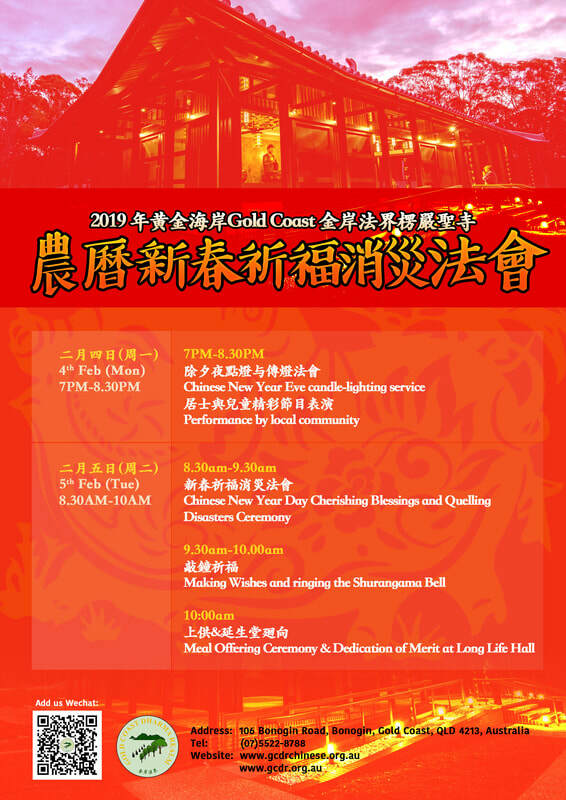 We hope that you can participate this special event! The Chinese translation will be broadcasting through a separate channel - YY platform （ID 27215620）. "Until one encounters/reads the Avatamsaka Sutra, one would not know the richness and splendour of the Buddhadharma"! The Avatamsaka Sutra (the Flower Adornment/Garland Sutra) is known as the "King of Kings" of all Buddhist texts. It elucidates the inconceivable state of the Buddhas and the conduct of Bodhisattvas. 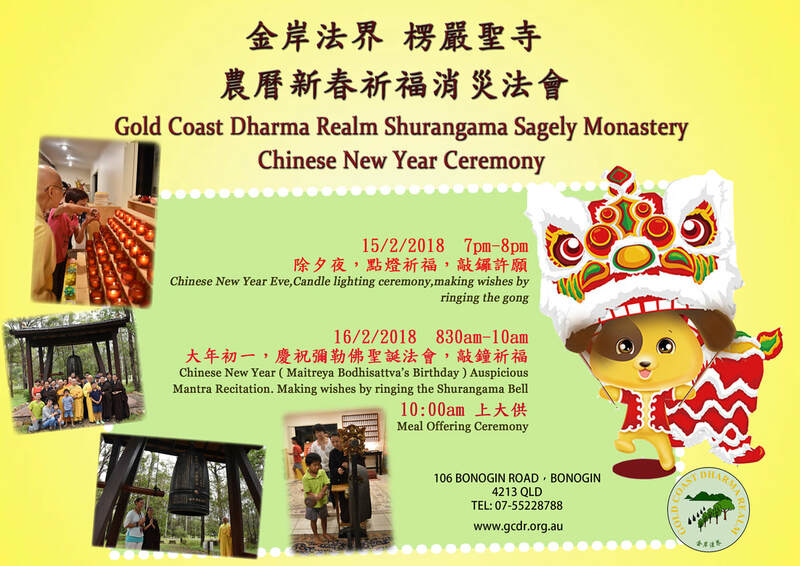 It is our sincere wish that everyone will take this opportunity to connect with this “Sutra of the Dharma Realm”, and by so doing, one shall not live in vain. 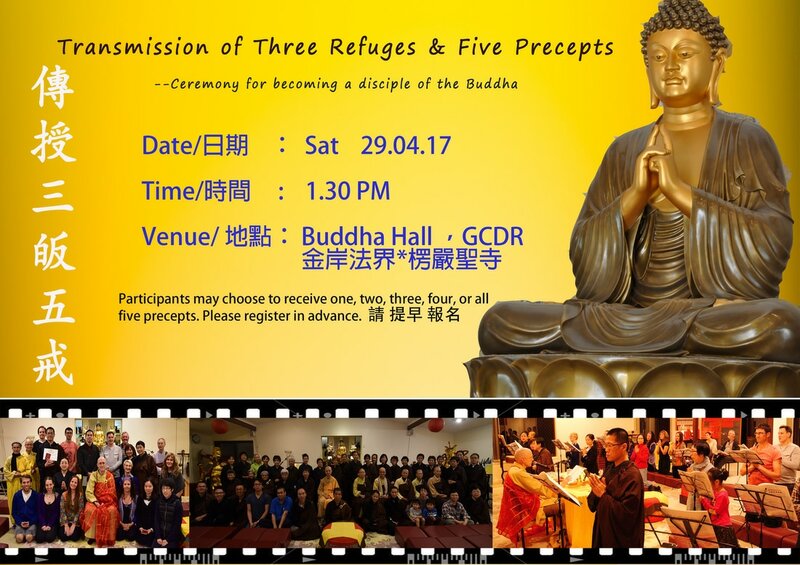 Please click on the following link and join the lecture session from your computer, tablet or smartphone. 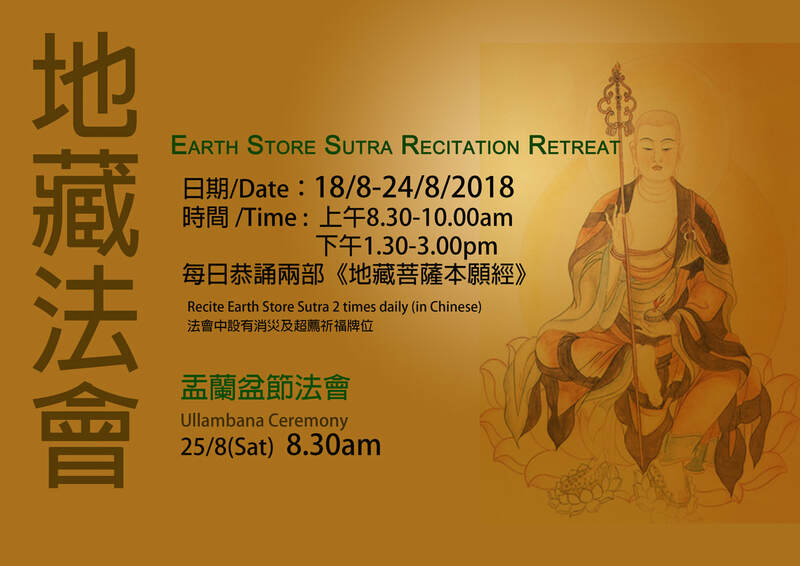 ​Guan Yin Practice Retreats ﻿Guan Shi Yin Bodhisattva (or simply “Guan Yin”) represents Great Compassion. Her name literally means Contemplator of the Sounds of the World. She listens deeply to the sounds of all living beings and responds accordingly. From reciting her name, we tap into our own inherent capacity for kindness and compassion.